Manufacturers embarking on digital transformation projects face a series of early decisions that will ultimately determine if the projects succeed in transforming the company or become failed science experiments. This white paper outlines the early decisions that will determine if the project accomplishes central objectives such as driving ongoing change, cost-effective maintenance and security, and breaking down data silos. 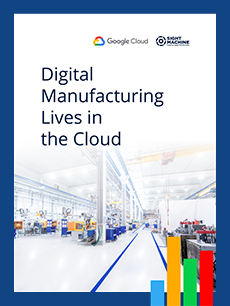 For most manufacturers pursuing digital transformation projects, multi-factory solutions relying on commercially-available cloud-based resources are far more likely to succeed than do-it-yourself, single-factory solutions cut off from the cloud. For speed of development, cost-effectiveness, security, access to best-of-breed technology, scalability across the enterprise, and ability to achieve the desired impact, cloud-based systems are the only practical and affordable solution for most companies. Start building a successful digital transformation strategy today!